Pure water evolution. A pure thirst for the environment. Tastes amazingly fresh and pure. Stays cool longer. Naturally perfect pH balance with ultra low nitrates. Suitable for infant consumption. 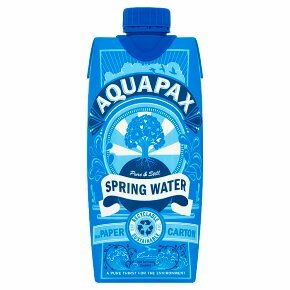 Treat your body with aquapax. 1% For the planet. You can re-fill and re-use when empty. The edges inside this clever cap are sharp, so be careful with little fingers!